Quality fresh floral arrangements, plants, dish gardens and more for every occasion. We specialize in weddings, parties, funerals and yachts. Delivery available. Flower City has a fantastic selection of all types of silk trees, plants and floral arrangements in our showroom! Come and see what’s available or have our designers create a custom made silk tree specifically tailored to your needs. 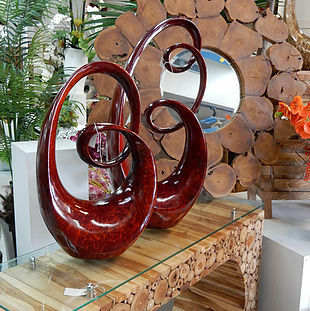 We have an extensive collection of indoor and outdoor pottery, wall decor, occasional furniture, sculpture, wind chimes and unique gift items. Finally I found a great place to order fresh and beautiful flowers. The flowers I ordered over the phone was identical as the ones online. Flowers were delivered on time. 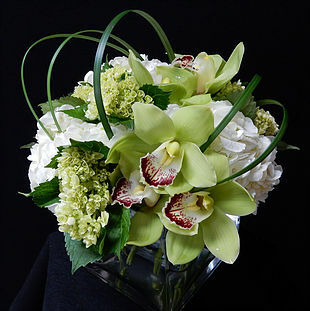 The incredible service and attention to detail that Flower City Florists provides is astounding. 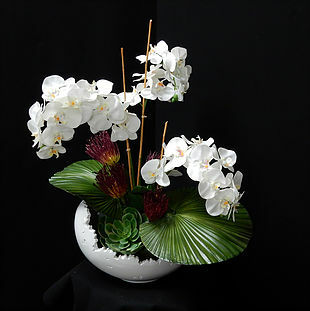 From the presentation to the quality of the orchid, it exceeded our expectations and the recipients were in awe as well! Thank you Dely and Joy for creating such a beautiful gift! We recommend this florist to all of our friends and family and you WON’T be disappointed!